"You know, that particular cliché doesn't... always work." Russell bought a huge mansion in Shaughnessy area of Vancouver so he and Goldie Hawn could be close to their son Wyatt Russell when he was playing junior hockey. 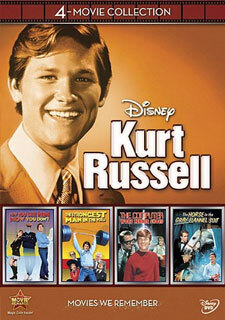 Kurt Vogel Russell (born March 17, 1951) is an American actor. His first acting roles were as a child in television series, including a lead role in the Western series The Travels of Jaimie McPheeters (196364). In the 1970s, he signed a ten-year contract with the Walt Disney Company, where he became, according to Robert Osborne, the "studio's top star of the '70s". In 1979, Russell was nominated for an Emmy Award for the made-for-television film Elvis. In 1983, he was nominated for a Golden Globe Award for Best Performance by an Actor in a Supporting Role in a Motion Picture for his performance opposite Meryl Streep in the 1984 film, Silkwood. During the 1980s, Russell was cast in several films by director John Carpenter, including anti-hero roles such as former army hero-turned robber Snake Plissken in the futuristic action film Escape from New York and its 1996 sequel, Escape from L.A., Antarctic helicopter pilot R.J. MacReady in the horror film The Thing (1982), and truck driver Jack Burton in the dark kung-fu comedy/action film Big Trouble in Little China (1986), all of which have since become cult films. Russell began his acting career in 1957 with an appearance as a child in the pilot of the ABC western television series Sugarfoot with Will Hutchins. 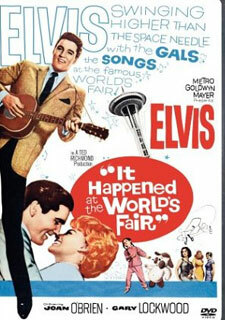 His film career began at the age of eleven in an uncredited part in Elvis Presley's It Happened at the World's Fair (above). On April 24th, 1963, Russell guest starred in the ABC series Our Man Higgins, starring Stanley Holloway as an English butler in an American family. He played Peter Hall in the 1963 episode "Everybody Knows You Left Me" on the NBC medical drama about psychiatry The Eleventh Hour. Later in 1963, he landed the lead role as Jaimie in the ABC Western series The Travels of Jaimie McPheeters (196364). 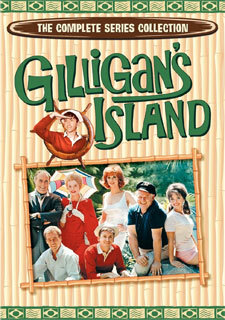 Based on a book by Robert Lewis Taylor, the series starred Dan O'Herlihy, John Maloney, and the young Osmond Brothers. Charles Bronson became a semi-regular in the series. In 1964, he guest-starred in "Nemesis", an episode of the popular ABC series The Fugitive in which, as the son of police Lt. Phillip Gerard, he is unintentionally kidnapped by his father's quarry, Doctor Richard Kimble. That same year he appeared on NBC's The Virginian as a mistaken orphan whose father was an outlaw played by Rory Calhoun who was still alive and recently released from prison looking for his son. He played a similar role as a kid named Packy Kerlin in the 1964 episode "Blue Heaven" of the western series Gunsmoke. 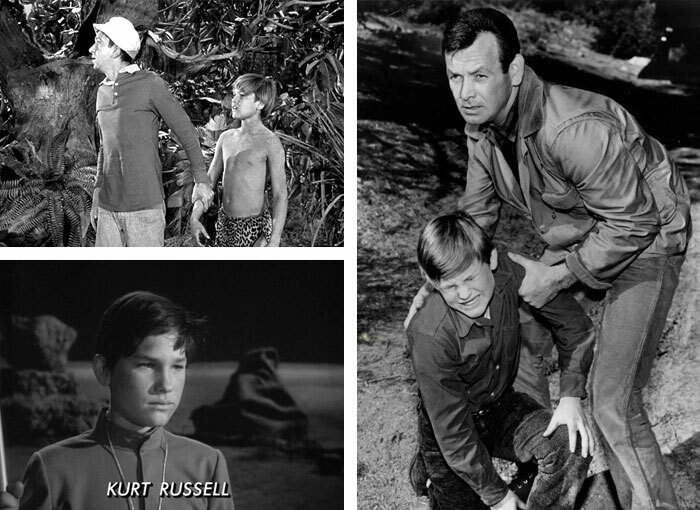 On February 6th, 1965, Russell played the role of Jungle Boy on an episode of CBS's Gilligan's Island. 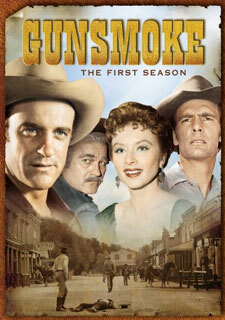 He guest-starred on ABC's western The Legend of Jesse James. 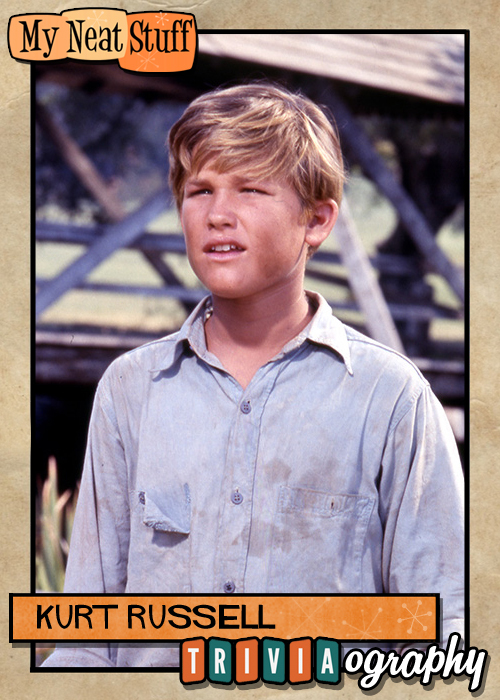 In 1966, Russell played a 14-year-old Indian boy, Grey Smoke, adopted by the Texas Rangers in the episode "Meanwhile, Back at the Reservation" of the NBC western series Laredo. 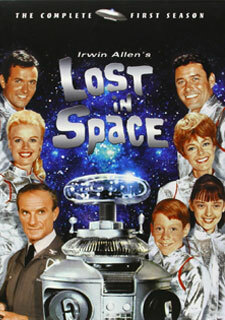 He also had parts in other series such as The Man from U.N.C.L.E., Dennis the Menace, The Road West, The FBI and in a March 1966 episode of CBS's Lost in Space entitled "The Challenge", he played Quano, the son of a planetary ruler. 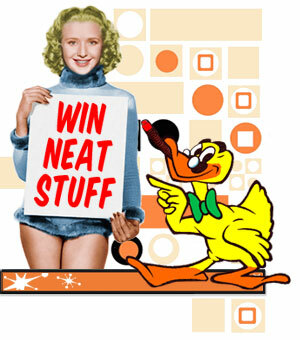 In January 1967, Russell co-starred as Private Willie Prentiss in the episode "Willie and the Yank: The Mosby Raiders" in Walt Disney's Wonderful World of Color. In the same year he played a starring role in Disney's Follow Me, Boys!. 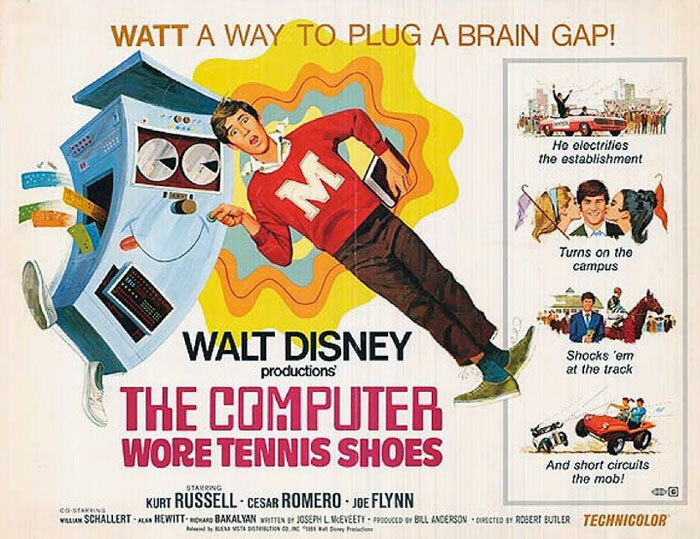 He then went on to star in The One and Only, Genuine, Original Family Band and The Computer Wore Tennis Shoes (below), the latter of which spawned two sequels: Now You See Him, Now You Don't in 1972 and The Strongest Man in the World in 1975. Russell would enjoy a long association with the Disney organization. In 1966, as Walt Disney was nearing the end of his life, his final words he ever wrote were Kurt Russell. He died soon after. Russel was a child actor the the Disney studio had just signed to a long term contract. No one knows why. In 1971, he co-starred as a young robber released from jail, alongside James Stewart in Fools' Parade. The same year, he guest-starred in an episode of Room 222 playing an idealistic high school student who assumed the costumed identity of Paul Revere to warn of the dangers of pollution. Russell was soon signed to a ten-year contract with the Walt Disney Company, where he became, according to Robert Osborne, the "studio's top star of the '70s". Russell, like his father had a baseball career. In the early 1970s, Russell played second base for the California Angels minor league affiliates, the Bend Rainbows, Walla Walla Islanders, and El Paso Sun Kings. During a play early in the 1973 season, he was hit in the shoulder by a player running to second base; the collision tore the rotator cuff in Russell's right/throwing shoulder. Before his injury, he was leading the Texas League in hitting, with a .563 batting average as a switch hitter. 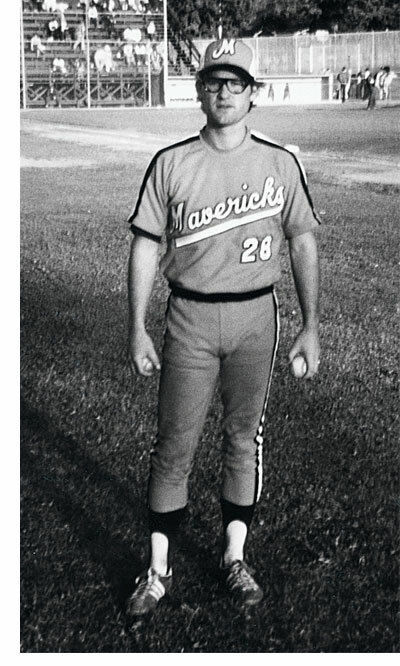 He did not return to El Paso, but was a designated hitter for the independent Portland Mavericks back in the Northwest League late in their short season. 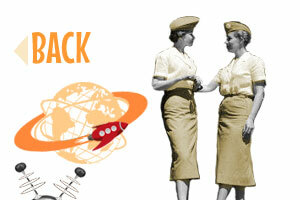 The team was owned by his father, and he had been doing promotional work for them in the interim. 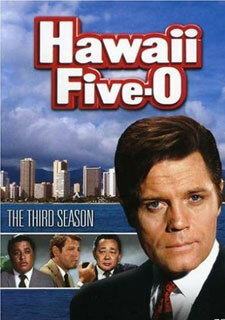 The injury forced his retirement from baseball in 1973 and led to his return to acting. In the autumn of 1976, Russell appeared with Tim Matheson in the 15-episode NBC series The Quest, the story of two young men in the American West seeking the whereabouts of their sister, a captive of the Cheyenne. In 1979, Russell was nominated for an Emmy Award for Outstanding Lead Actor in a Limited Series or a Special for the made-for-television film Elvis. 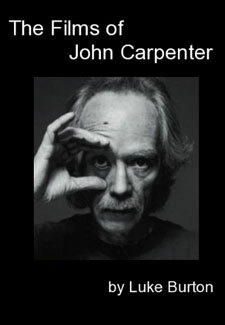 This was his first pairing with director John Carpenter. Russell did not perform the singing vocals in the movie; they were provided by country music artist Ronnie McDowell. Russell was considered for the role of "Travis Bickle" in Taxi Driver (1976) and auditioned for the role of Han Solo in Star Wars: Episode IV - A New Hope in 1977. Russell also auditioned for the role of Flash Gordon (1980) but the part went to Sam J. Jones instead. Over the 1980s, Russell would team with Carpenter several times, helping create some of his best-known roles, usually as anti-heroes, including the infamous Snake Plissken of Escape from New York and its sequel, Escape from L.A. 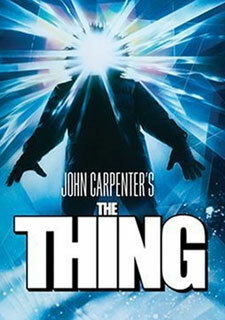 Among their collaborations was 1982's The Thing, based upon the short story Who Goes There? by John W. Campbell, Jr., which had been interpreted on film before, albeit loosely, in 1951's The Thing from Another World. 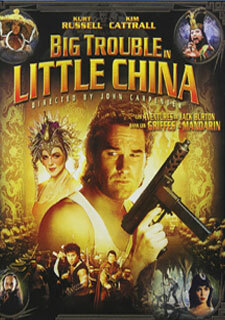 In 1986, the two made Big Trouble in Little China, a dark kung-fu comedy/action film in which Russell played a truck driver caught in an ancient Chinese war. 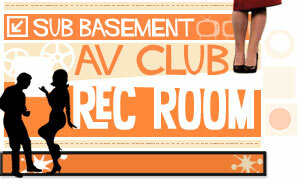 While the film was a financial failure like The Thing, it has since gained a cult audience. The presence of Lee Van Cleef on the set of Escape from New York (1981) inspired him to talk in a raspy voice similar to Clint Eastwood's from the Man With No Name trilogy. Later Russell would wear a eye patch again for his role in Captain Ron, a 1992 American comedy film directed by Thom Eberhardt, produced by David Permut, and written by John Dwyer for Disney's Touchstone Pictures. It stars Russell as the title character, a sailor with a quirky personality and a checkered past, and Martin Short as a middle-class family man who hires him to sail a yacht through the Caribbean with him and his family aboard. Mary Kay Place, Meadow Sisto, and Benjamin Salisbury also star as his wife and children. It was Kurt Russell's idea to have Captain Ron wear an eye patch, as a tribute to his Snake Plissken character from Escape from New York. 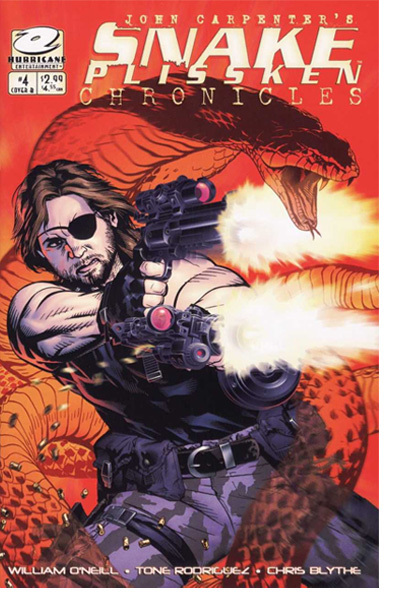 Captain Ron also appeared in a non-canon to Snake's universe in the comic, John Carpenter's Snake Plissken Chronicles, a four-part comic book miniseries released in 2003 that was published by CrossGen comics and Hurricane Entertainment. 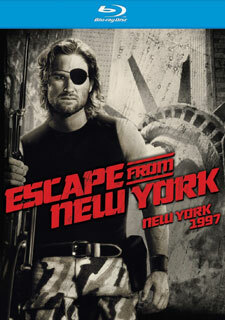 The story takes place the morning after the events in Escape from New York. Snake has been given a military Humvee after his presidential pardon and makes his way to Atlantic City. Despite the fact the director's cut of the New York movie shows Snake was caught after a bank job, this story has Snake finishing up a second heist that was preplanned before his capture. The job involves Snake's partnership with a man named Marrs who ends up double crossing him. Left for dead in a sinking crab cage, Snake escapes and is luckily saved by a passing fisherman named Captain Ron. When Ron denies Snake's request to use his boat in order to beat Marrs to the robbery, Snake decides to kill him. But when he ends up saving Ron from a Russian mob wanting money, Ron changes his mind and helps Snake. The series is written by William O'Neill, penciled by Tone Rodriguez and edited by Jan Utstein-O'Neill. Also during the 80's, Russell voiced adult Copper in the animated Disney film The Fox and the Hound. Russell is one of the very few famous child stars in Hollywood who has been able to continue his acting career past his teen years. 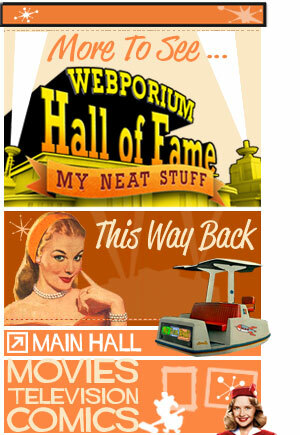 Russell received award nominations well into middle age. 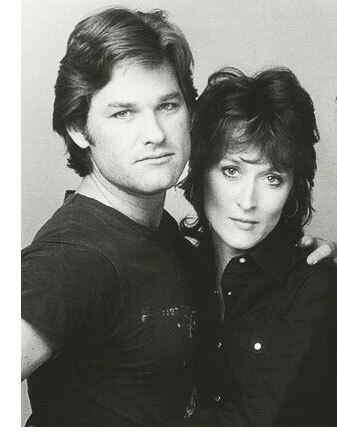 He was nominated for a Golden Globe Award for Best Performance by an Actor in a Supporting Role in a Motion Picture for his performance opposite Meryl Streep in the 1983 film, Silkwood. Russell was originally cast to play the cursed heroic knight Navarre in Ladyhawke (1985), while Rutger Hauer, who played the part of Navarre in the film, was the original choice to play the evil captain, even though Hauer had no interest in the part and was actually more interested in the part of the hero Navarre. When Russell dropped out of the project, Hauer took the role. 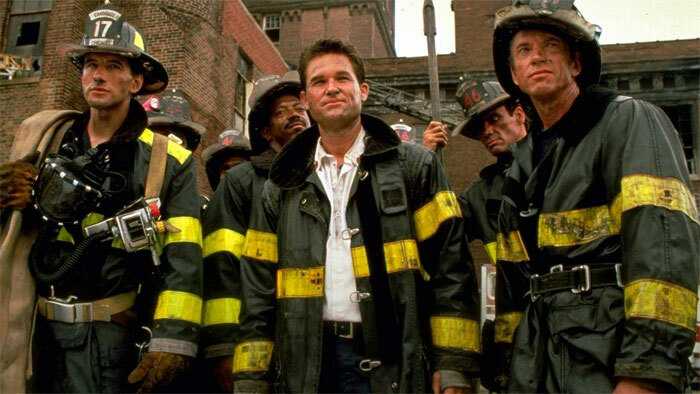 In 1991, Russell was cast alongside William Baldwin as a firefighter in Backdraft (directed by another former child actor Ron Howard). He rode along with the Chicago Fire Dept. 's Squad 5 in preparation for the role. 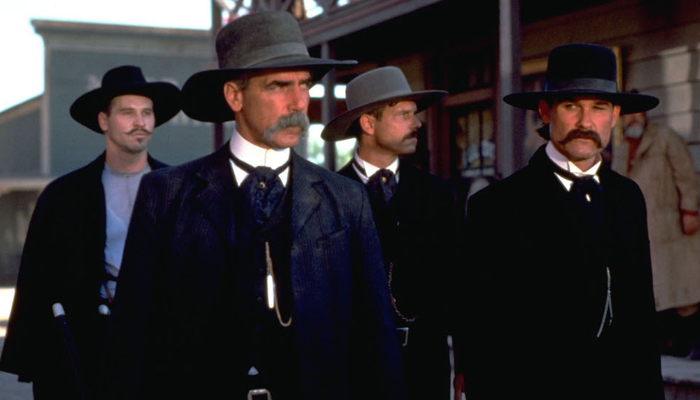 In 1993, Russell portrayed Wyatt Earp in the film Tombstone, co-starring with Val Kilmer, Sam Elliot, Bill Paxton and Powers Boothe. In 2006, Russell revealed that he was the director of Tombstone, not George P. Cosmatos, as credited. According to Russell, Cosmatos was recommended by Sylvester Stallone and was, in effect, a ghost director, much as he had been for Rambo: First Blood Part II. Russell said he promised Cosmatos he would keep it a secret as long as Cosmatos was alive; Cosmatos died in April 2005. Russell owns the rights to the masters and makes reference to possibly re-editing the film, as he was not originally involved in the editing. In 1994, Russell had a starring role in the military science fiction film Stargate (above). During the filming of 3000 Miles to Graceland (2001) in Vancouver, he visited the nearby set of Stargate SG-1 (1997) and met the cast. Russell starred as Colonel Jack O'Neil in the original Stargate (1994). His role was adopted by Richard Dean Anderson in the spin-off series and the character's name was changed slightly (to Colonel Jack O'Neill). Elvis Presley connections have run like a thread through his career. 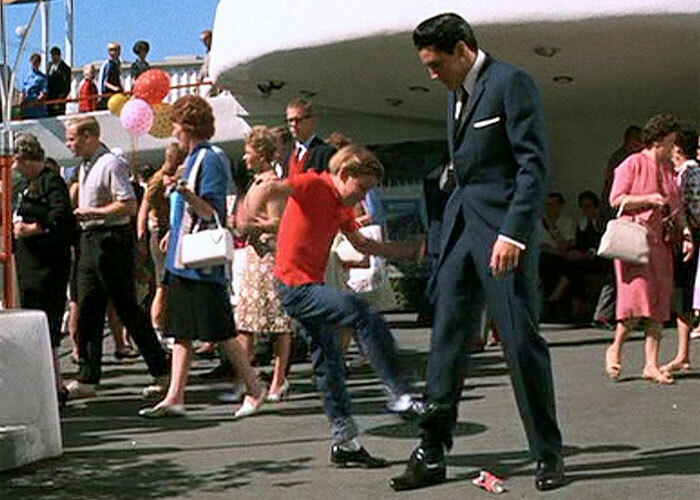 Aside from appearing as a child in one of Presley's films and giving a convincing portrayal of the singer in the 1979 television biopic, Russell starred as an Elvis impersonator involved in a Las Vegas robbery in 3000 Miles to Graceland and would also provided Presley's voice in Forrest Gump (1994). His portrayal of U.S. Olympic hockey coach Herb Brooks (above) in the 2004 film, Miracle (again working for Disney), won the praise of critics. 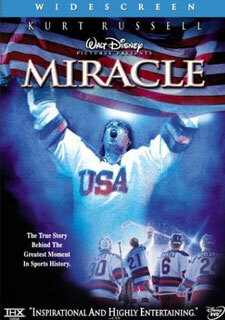 "In many ways," wrote Claudia Puig of USA Today, "Miracle belongs to Kurt Russell." 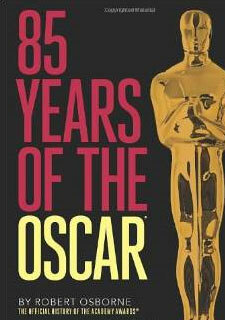 Roger Ebert of the Chicago Sun Times wrote, "Russell does real acting here." 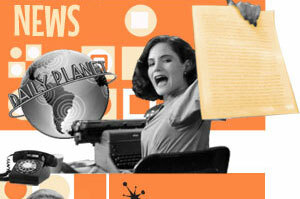 Elvis Mitchell of The New York Times wrote, "Mr. Russell's cagey and remote performance gives Miracle its few breezes of fresh, albeit methane-scented, air." In 2006, he appeared in the disaster-thriller Poseidon, and in 2007 Quentin Tarantino's Death Proof segment from the film Grindhouse. One of his heroes since boyhood was John Wayne. He was able to use his dead-on John Wayne impression (to twisted effect) in Grindhouse. On August 31st, 2013, it was announced that Russell had been cast in Furious 7 and would also co-star in The Fate of the Furious (2017). He appeared in The Battered Bastards of Baseball, a documentary about his father and the Portland Mavericks, which debuted at the Sundance Film Festival in 2014. In 2015 Russell apeared in The Hateful Eight, an American Western film written and directed by Quentin Tarantino along with Samuel L. Jackson, Jennifer Jason Leigh, Walton Goggins, Demián Bichir, Tim Roth, Michael Madsen, and Bruce Dern. In 2017 Russell stars as Ego in Guardians of the Galaxy Vol. 2. Ego is an ancient Celestial who is Quill's (Chris Pratt) father. Pratt was the first to suggest Russell for the role; he portrays an avatar of Ego who is more traditionally seen in the comics in his "Living Planet" form. Russell appreciated why he was wanted for the role after seeing Pratt's performance in the first film, feeling "That's my kinda guy. I know where that kind of goof comes from." Ego replaces Quill's original comic father of J'son, and was allowed to be used in the film after 20th Century Fox reached a deal with Marvel Studios to return the film rights of Ego for changing the power set of Negasonic Teenage Warhead, whom Fox wanted to use in Deadpool (2016). Director James Gunn originally thought Marvel held the rights to the character, and stated that, had the deal with Fox not been made, there was "no back up plan, and it would [have been] nearly impossible to just drop another character in. Russell married actress Season Hubley, whom he had met on the set of Elvis in 1979; they had a son, Boston Russell, in 1980. In 1983, in the middle of his divorce from Hubley, Russell re-connected with Goldie Hawn on the set of the film Swing Shift, and they have been in a relationship ever since. They own a home in Palm Desert, California. They had a son, Wyatt, in 1986. 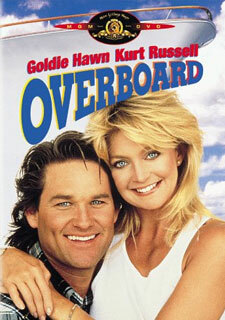 One year later, in 1987, the couple starred in the film Overboard (above). Hawn's son and daughter with Bill Hudson, actors Oliver and Kate Hudson, consider Russell to be their father. Russell is a libertarian. In 1996, he was quoted in the Toronto Sun saying: "I was brought up as a Republican, but when I realized that at the end of the day there wasn't much difference between a Democrat and Republican, I became a libertarian." In February 2003, Russell and Hawn moved to Vancouver, British Columbia, so that their son could play hockey. Russell is an FAA licensed private pilot holding single/multi-engine and instrument ratings and is an Honorary Board Member of the humanitarian aviation organization Wings of Hope. Russell and partner Goldie Hawn formerly took summer vacations in the Muskoka region in Ontario, Canada. They gave up their cottage after too many unwelcomed visitors would stare at their cottage through binoculars from Lake Rosseau. Currently Russell and Goldie Hawn live on a 72-acre retreat, Home Run Ranch, outside of Aspen. Russell is a card carrying member of the NRA. and was the best man at Ted Nugent's wedding. 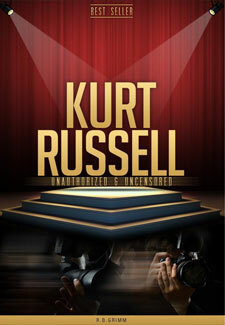 Russell claims that he often felt an outcast in Hollywood because of his Libertarian beliefs. Russell and his Tombstone (below 1993) co-star, Val Kilmer, have both played Elvis Presley. Val Kilmer played him in True Romance (1993), while Russell played him in a television movie, and provided his voice in Forrest Gump (1994). In Tombstone (1993), he plays Wyatt Earp. In 3000 Miles to Graceland (2001), he works with Kevin Costner, who played the role a mere six months later in the film Wyatt Earp (1994).